Healthy Land and Water shares a close bond with the Quandamooka Yoolooburrabee Aboriginal Corporation (QYAC). 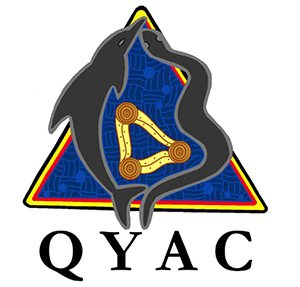 QYAC was formed in formed in 2011 under the Native Title Act to represent the interests of the Quandamooka people, who have called the lands and waters around Moreton Bay home for tens of thousands of years. QYAC and Healthy Land and Water work collaboratively on many environmental projects, and the partnership grew stronger in 2015 when the two organisations signed a Memorandum of Understanding (MoU). The MoU was the first of its kind in between an Indigenous organisation and a natural resource management group in Queensland. Under the terms of the MoU, QYAC is able to utilise Healthy Land and Water’s project delivery expertise and experience to improve its capacity to conserve and protect the environment. In return, Healthy Land and Water draws on the Quandamooka people’s thousands of years of experience on the land, and builds its capacity to become a culturally competent organisation.